INTERIOR: REBEL BLOCKADE RUNNER -- MAIN HALLWAY. The awesome, seven-foot-tall Dark Lord of the Sith makes his way into the blinding light of the main passageway. This is Darth Vader, right hand of the Emperor. 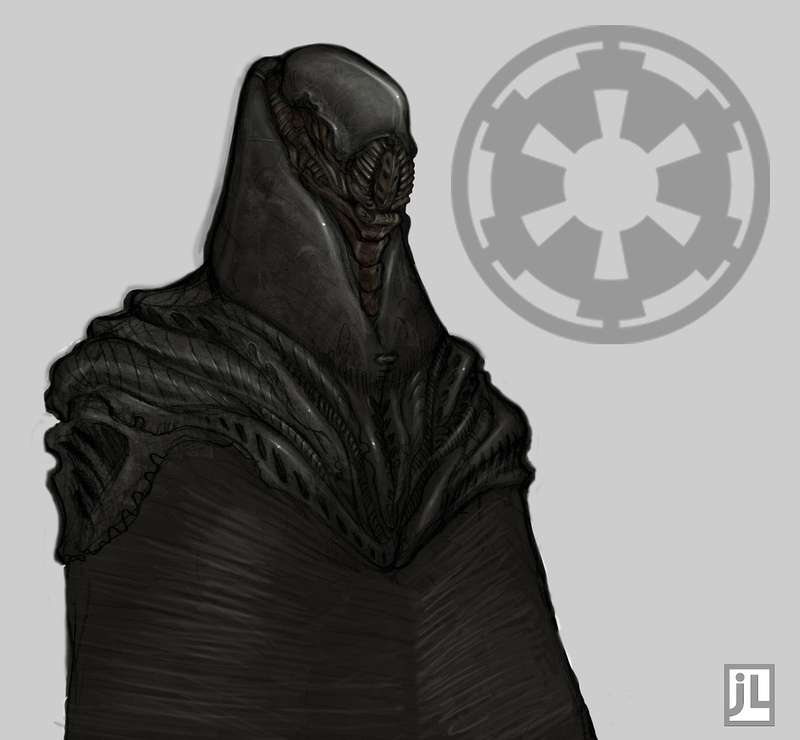 His face is obscured by his flowing black robes and grotesque breath mask, which stands out next to the fascist white armored suits of the Imperial stormtroopers. Everyone instinctively backs away from the imposing warrior and a deathly quiet sweeps through the Rebel troops. Several of the Rebel troops break and run in a frenzied panic. wow! that is one of the best re-designs I've seen of Vader. Any chance you'll try your hand at some more SW cast?